They describe your rights and responsibilities. If you browse, visit or bid for a product at this website you agree to be bound by these Terms and Conditions. If you do not agree with any of these Terms and Conditions, do not use this web site. 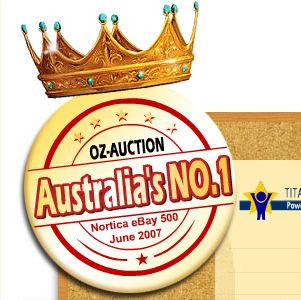 OZ-AUCTION adheres to all trading rules, terms and conditions as described by eBay. 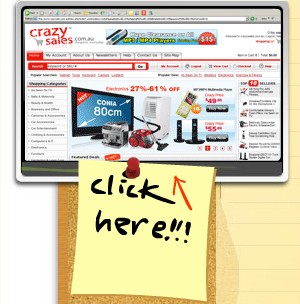 It is the buyer’s responsibility to understand and accept the terms and conditions of using the eBay website. The successful high bidder will be notified by eBay at the conclusion of the auction period. The successful high bidder will be contacted by email from OZ-AUCTION at the conclusion of the auction period. The successful high bidder must respond to the notification and payment for the goods must be made within five (5) days from the date of the email notification from OZ-AUCTION . Should payment not be received within the five (5) day period, OZ-AUCTION has the right to consider the contract of sale void. All care will be taken in shipping the goods however OZ-AUCTION is not directly liable for any loss, theft or damage to goods during shipment. OZ-AUCTION will endeavour to resolve any problems that arise from shipping the goods to the purchaser. Pictures, graphics or diagrams of goods on this site are representative only. The actual goods may vary in appearance from the depiction used. Unless stated otherwise, all products purchased from OZ-AUCTION are covered by a 90 day warranty. This warranty does not in any way infringe or alter the statutory rights of a consumer. The warranty provided does not apply in circumstances of ‘change of mind’ by the buyer. If a product is Dead on Arrival, the purchaser must contact OZ-AUCTION within seven (7) days to arrange a replacement product. All costs associated with replacement will be met by OZ-AUCTION if the warranty claim is made within seven (7) days from the date of dispatch. For warranty claims after seven (7) days from the date of dispatch, the purchaser will be responsible for all freight costs associated with the replacement of the product. The warranty does not apply to accessories and bonus gifts such as: batteries, earphones, cables, carry bags etc. On receipt of a warranty claim, OZ-AUCTION will provide the purchaser with the necessary form and instruction on how to return the product. Products sent COD or without the proper claim form will be returned to the purchaser at the purchaser’s expense. OZ-AUCTION retains the right to test products returned under warranty and to return the product to the purchaser if no fault is determined. All products must be returned in the original (new) condition and must be returned with the original packaging. * Nortica eBay 500 for the month of June 2007, top 500 eBay members based on feedback ratings.